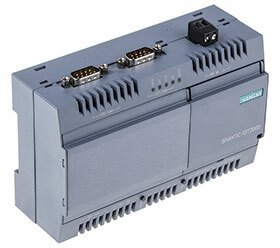 The Simatic IOT2040 is a first ‘open’ intelligent gateway that standardises communication between various data sources and then analyses and forwards it to the corresponding recipients. It is a solution that can be easily integrated into existing machines or control systems which use legacy fieldbuses to communicate, thus enabling vital process performance data to be unlocked, shared and used to improve and optimise production. The device is able to support industrial engineers, machine builders and designers. It is ideally suited as a gateway between the cloud, or the company IT level, and production. The Simatic IOT2040 is designed for 24/7 operation and is the link between production and cloud-based data analysis. It combines the tasks of interfacing to the ERP system and the corresponding communication of automation components, which therefore minimises errors and increases the efficiency of production process. The role as an intelligent gateway interface can be used in both directions i.e. transferring analysed data from the cloud to the production control. This continuous data communication closes the control loop for optimal of production. This intelligent gateway for industrial IoT solutions has an Intel Quark x1020 (+Secure Boot), 1 GB RAM, microSD Card slot, 2 Ethernet Interfaces, and 2 x RS-232/485 interfaces. The IOT2040 supports Yocto Linux and comes with a battery buffered RTC and watchdog. This device is compatible with mPCLe cards, Arduino shields and Siemens IoT development kits.